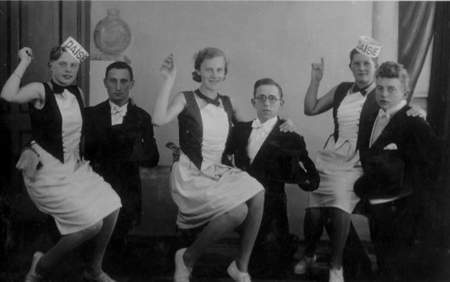 Simon van de Rhoer (born on the 21st of January 1898) was the brother of Hendrina, Joël and Jacob. He married Carolina de Jong (born in Leeuwarden in 1892). They did not have any children. On the16th of May my wife and I fled to Meppel where we found shelter with relatives. 1 September I had to move into the house at 1 Woldstraat , because our relatives found it difficult to accommodate us any longer. He wrote to the local council for assistance as part of the ‘emergency help’, especially for those who were victims of the bombing of Rotterdam. When he arrived in Meppel, he received a sum of fl. 8,- from Social Welfare only for the first week. More support was not needed because he was well known in Meppel and had many relatives here, who could help him and his wife. He started trading in poultry and cattle as soon as he could, earning fl. 15,- per week, which according to him just kept him alive. Simon van de Rhoer during a performance of the MSC-Cabaret together with Jacob Frank (left) and Jan Bralten (right). 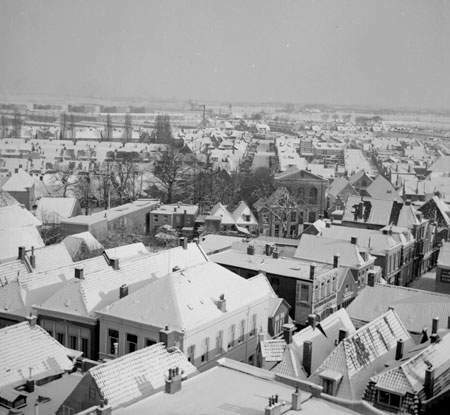 But when he heard from his neighbour Polak, that he had to rent the building at 1 Woldstraat, his financial position got considerably worse. At first he could borrow furniture from relatives, but when times got worse various people wanted their things back, so that’s why Simon, while waiting for a subsidy from the Stichting Rotterdam 1940 (Foundation Rotterdam 1940), requested a subsidy from Meppel local council, so that they could somehow furnish their house. Social Welfare advised the council to buy for the victimized family a substantial amount of goods: beds, table and chairs, carpets, rugs and clothes. Meppel local council accepted to purchase it all for the amount of fl. 381,32. 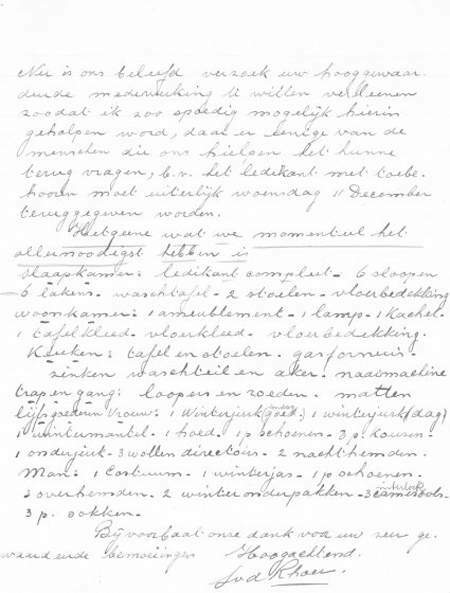 Letter from Simon requesting Meppel council to provide goods for his family. I would be extremely grateful if you could give me some cash for trading purposes, so that I can earn more and become independent from my relatives. The amount that I am asking for is fl. 500,-. Van de Rhoer a tradesman by profession is unable to maintain his business due to shortage of funds. Currently the inquirer is a cattle trader and has no shop. According to his statement, which I consider correct, it appears that he is not capable to support himself and maintain his poultry business. His activities are now limited to buying cattle from farmers in Meppel and surrounding areas. Unfortunately the result of the application for the subsidy is not known. Simon was able to carry on his work in Meppel for one more year. Then he had to leave Meppel, because he was sent to work in Orvelte. 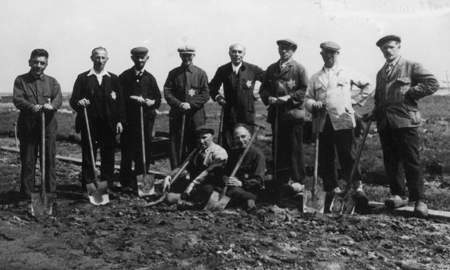 Meppel Jews were forced to do all kinds of hard labour like digging. Simon van de Rhoer was one of them. From there he arrived in Westerbork on the 3rd of October, where he met his wife again (she was transported from Meppel to Westerbork on the same day). They both remained in the camp until the 9th of February 1943; then they were put on transport to Auschwitz, where they died on the 12th of February.